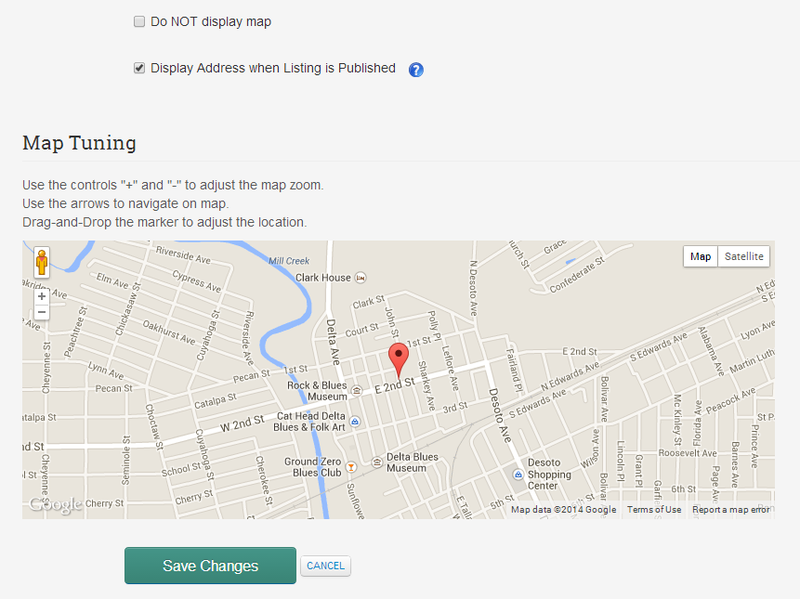 List your Auctions and Estate Sales on Yundle Free. Figure 1: Your Current Sales, Archive Sales or Add a New Sale. Step1: Sale title, type and category. Short Description and Long description. 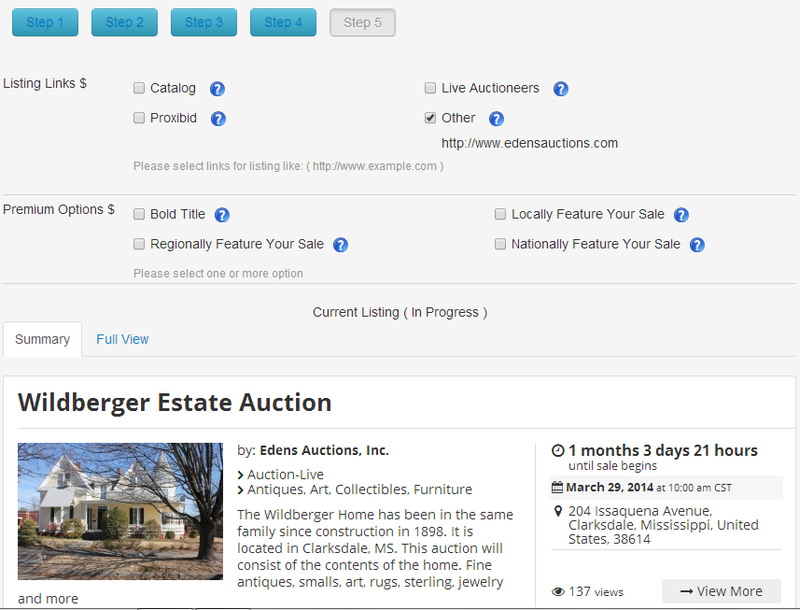 Step 4: Optional Items, View Summary and Detail of your Listing. Regardless of your Sale type, list it on Yundle free. Auctions, Estate Sales, Business Liquidations. 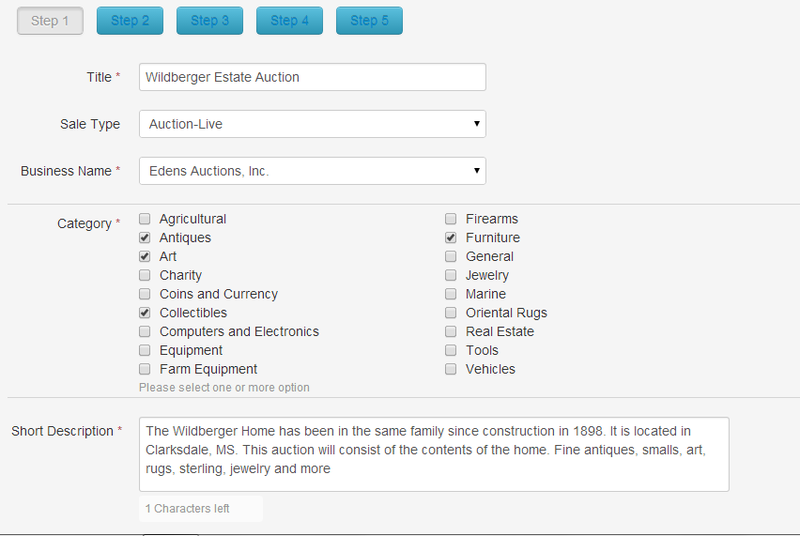 Live Auctions, Live with online Bidding, Online Only Auctions, Estate Sales onsite, Estate Sales offsite and more. We have provided you with the best photo system available. 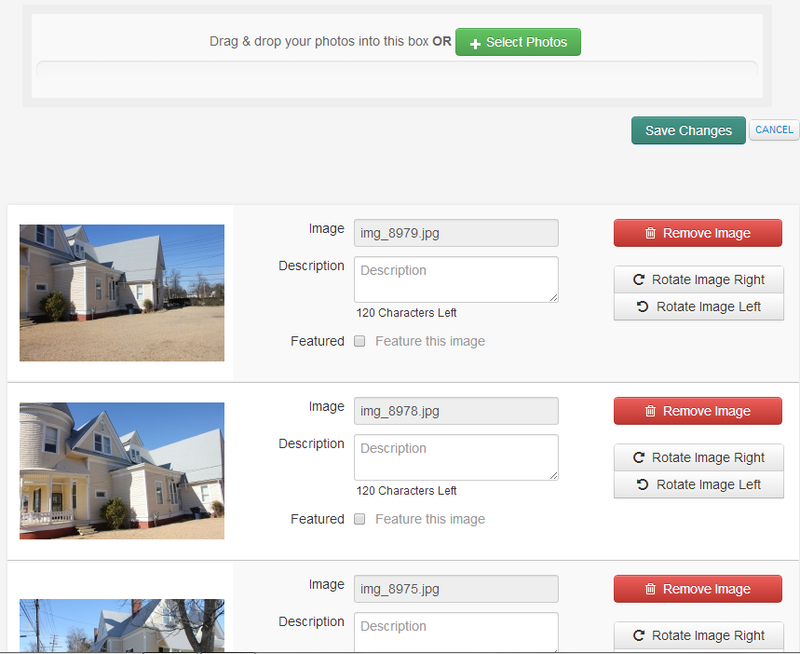 Upload photos and add descriptions if desired. Viewer allows users to easily browse your photos.